Also, this means that with just six players, you can share this music in worship without tables, notebooks, and stands. This means you are free to play in a different place than normal. Try ringing from the side aisles or while processing in (if your players can walk and ring at the same time!). Play from the balcony or the narthex, or stand in a semicircle up in the chancel. Mix it up and try something new! Use these pieces as preludes, acclamations or processionals, reflective prayer responses, or as music during communion. Performance notes are included for each piece. *Please note: This is a digital download product. No physical music will be mailed to you. Your purchase includes a license to print as many copies as you need for your handbell ensemble. This arrangement features the cello (or any C instrument), with handbells accompanying. The simple, scalar melody paired with the plaintive tolls of the bells matches the inner longing we feel during Advent as we wait for Christ’s return. Inspired by the popular handbell acclamation, Glorioso (get your free copy here), this festive processional is based on a collection of repeated musical patterns. Each person is assigned two bells and one 2-measure pattern to play. Like Glorioso II, this simple processional is based on a collection of repeated patterns. Each person is assigned two bells and one pattern to play. It’s written in such a way that it can be used as a stand-alone piece or as an introduction to the hymn, “Come, Thou Long-Expected Jesus” (HYFRYDOL). Use this descant on one or both verses of the hymn, to add to the congregational singing experience. The descant matches the traditional harmony found in most hymnals. 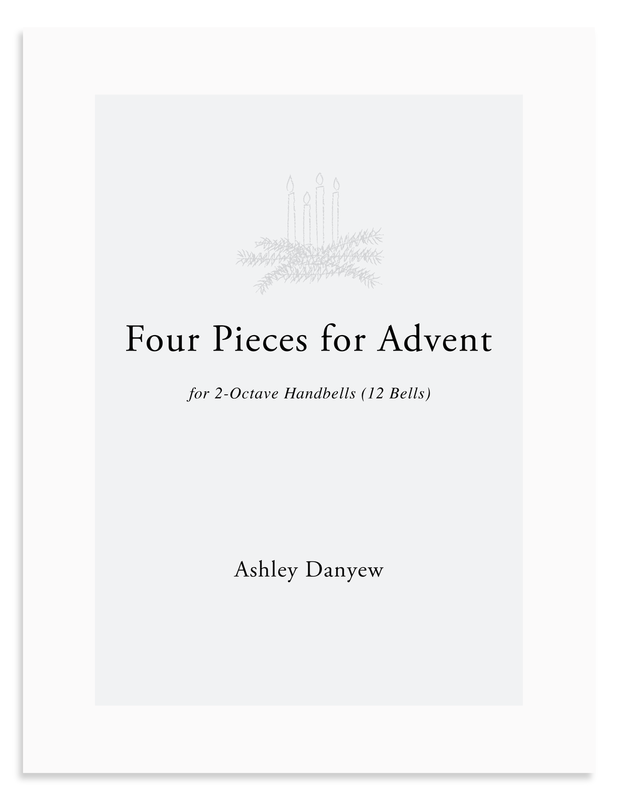 A digital collection for 2-octave handbells (12 bells), featuring four short pieces for your Advent worship services. *Includes a license to print and copy as many copies as you need for your ensemble. To learn more about Four Pieces for Advent and purchase your copy, click here. Questions? Feel free to reach out to me via email. I’m happy to answer them! Older PostWhat Type of Choir Director Are You?